A beautiful pair of knee high boots the Charade-150 has a lot going for them. 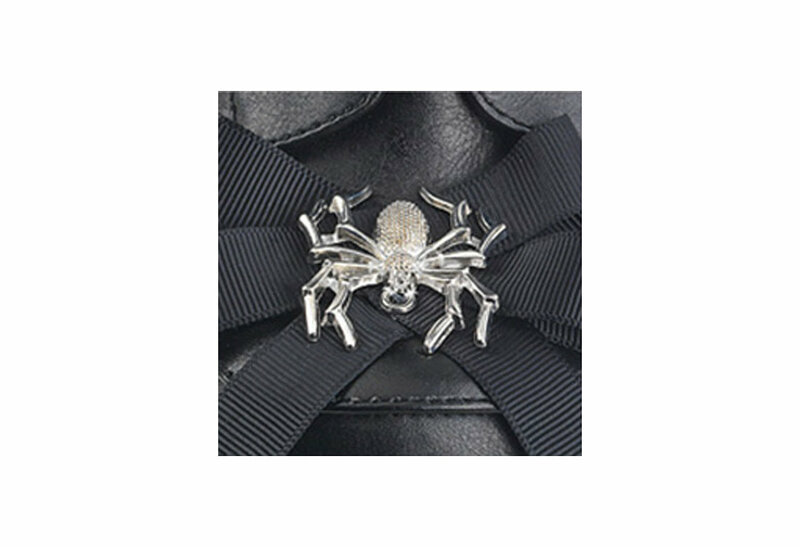 On the toe of these boot there is a spider bow adornment. 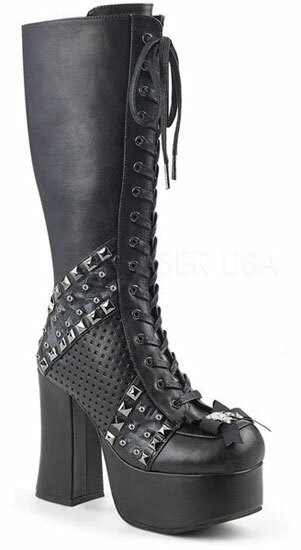 The foot and ankle are covered in pyramid spike details with studded panels. The Charade has a 4 1/2 inch heel and 2 inch platform. These lace-up boots also come with a full inside zip closure for ease of wear.